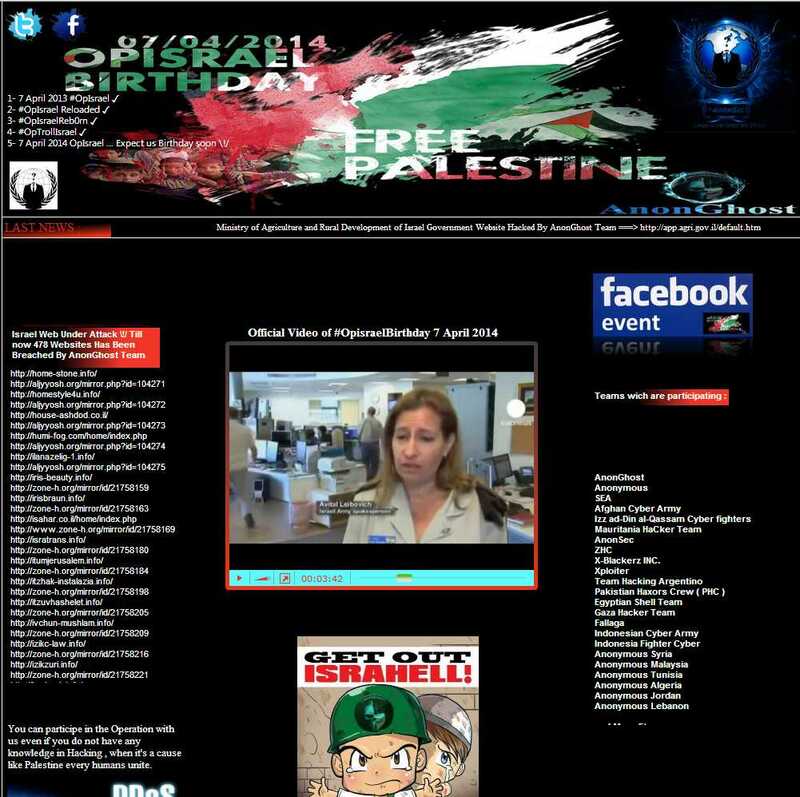 AnonGhost announced a cyber-attack against Israel on April 7, 2014, one year after the last #OpIsrael campaign. To date, more than 6,000 Facebook users have joined different anti-Israel Facebook event pages, and many groups, such as Fallaga, AnonSec, Gaza Hacker Team, Indonesian Cyber Army, and more have declared their support. As you can see, the participants come from all over the world, but mainly North Africa, the Middle East and Southeast Asia. The rest usually use American proxy servers. According to our analysis, most participants are between the ages of 17 and 34. The campaign has an official dedicated website, designed by the famous hacker Mauritania Attacker from AnonGhost, as well as a new Twitter account. The official website features online notifications about hacked Israeli websites and a list of campaign participants. The main targets are government and financial websites, alongside defense industries. Recently, however, we have noticed an increasing focus on hacking government websites in Israel. Moreover, we have identified publications of leaked emails and passwords belonging to thousands of Israelis. Our investigation also revealed intentions to hack and spam smartphones using assorted viruses. All in all, the scope of the upcoming cyber-campaign appears to be significant. However, we believe that mainly small and private websites will suffer from these attacks.